To build vocabulary, children have to use and explore it. 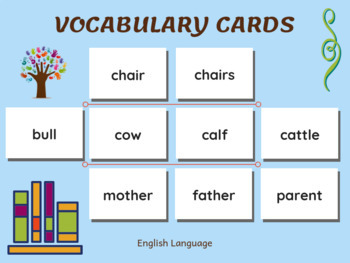 The vocabulary charts can be hung on the wall and copied, while the cards are matched. They cover gendered nouns in family and roles, animal families and the basic types of plural nouns. 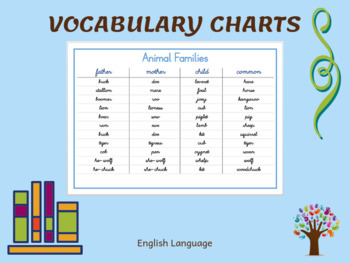 The charts further include some compound nouns.